Since the Budget Control Act took effect in 2013, senior leadership and news media have emphasized the issue of decreased military funding. The U.S. Navy is being stressed with longer deployments and shorter maintenance availabilities. This is affecting morale, material readiness, and retention. There is no easy solution to this political and economic problem, but Navy leaders can leverage new technology to make its Sailors and teams more effective while they are asked to ‘do more with less.’ One example of a new collaboration tool optimized for mobile use is Trello. New tools like Trello, combined with handheld technology, will help transform the effectiveness of the Navy team. In April 2015, the Navy introduced the eSailor pilot program to issue tablet computers to new boot camp recruits at Great Lakes Recruit Training Center. This technology is intended to give Sailors greater access to training materials and email communication. Once this technology hits the fleet, it will greatly increase our Sailors’ operational effectiveness and overall well-being. For example, while conducting maintenance, Sailors will be able to quickly connect to manuals, research resources, and technical reach back support. Master Chief Petty Officer of the Navy Mike Stevens explained: “We’ll download all their training curricula. Everything that they currently get that’s in paper will be loaded electronically.” Leadership is already forging the tools to enable a more capable Sailor of the future. Today, leaders should take advantage of free software that can help their teams be more efficient. Trello is an application that can help commanders and their teams better focus and prioritize the mission in front of them. Trello is a webpage-based project and task-management tool that contains lists laid out in ‘cards’ horizontally on the screen. It is much like the Note Card Organization System that many Commanding Officers turn to for organizing thoughts, functions, and follow-ups. Trello expands this effective note card system and allow users to share and embed ideas. It allows users to very quickly see all his/her priorities at once. The dashboard has as many cards as one needs. Individual cards contain items of any category or topic. The user is able to customize and setup cards however they prefer. Cards are a very flexible item that can contain any number of features including checklists, images, attachments, discussions, and deadlines. While in port, the Commanding Officer of a destroyer might have a card of all short-term training cycle items, a card for current personnel issues, and cards for each department’s current objectives. The cards might be titled as Engineering, Weapons, Operations, Long Term Maintenance, personal items, and so on. When a leader shares a card with tasks and deadlines, it creates transparency and shared expectations between supervisors and subordinates. This allows everyone to understand the established priorities, be accountable, and update cards as tasks are met. Even better, Trello integrates with new communication tools like Slack so users do not need to jump back and forth to transcribe notes, attachments, or images. Everything syncs together into a time-saving tool that can make a ship’s team more productive by cutting down on the length of many daily meetings. 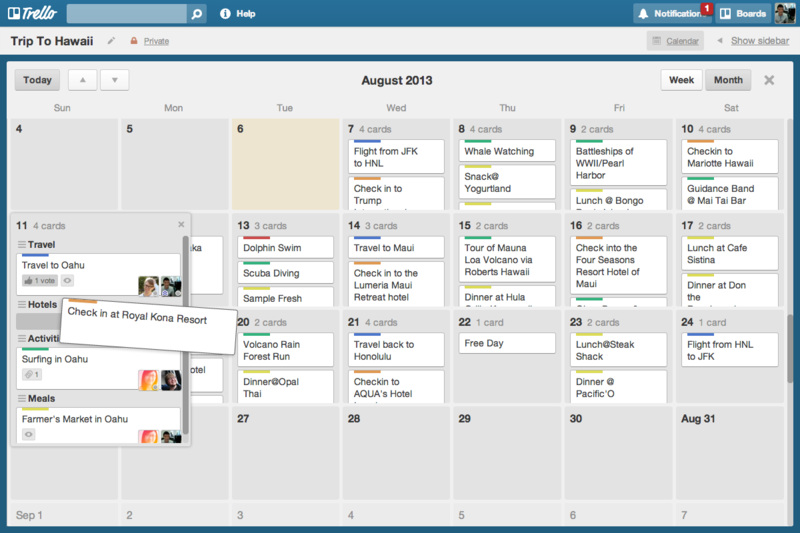 Divisional leadership might employ Trello to directly task Sailors and track their progress. Trello can easily be used to employ the Kanban system of management, which was developed by Toyota to maximize production while maintaining flexibility. It is best represented as post-Its on a whiteboard, with three columns on it: To Do, Doing, and Done. Post-Its would represent tasks (or cards) moved between the columns as they are completed. It is a very powerful method to instruct Sailors, while giving them room and autonomy. All the necessary resources can be attached to each card (notes, documents, images, and videos) to further empower junior Sailors. While ships may not have tablets on them yet, almost every Sailor has a smartphone. Depending on a leader’s personal style and the dynamic nature of their team, many Sailors and Officers can start using Trello today. If they have a team that is constantly on the move and working on different projects, Trello can help share priorities, stay organized, on track, while reducing unnecessary back and forth. Although connectivity at sea would significantly hinder its capability, Trello is a great tool to track and maintain awareness of all a team’s requirements while in port. Trello Enterprise has developed two-factor authentication and file encryption at rest to give users an additional layer of security over standard SSL traffic encryption. If you are skeptical, I challenge you to organize your day with it. You will find a clean, intuitive, and widely powerful platform. This author employs the Mozilla Trello Add-on to save and categorize tabs with just a click (like for this article). 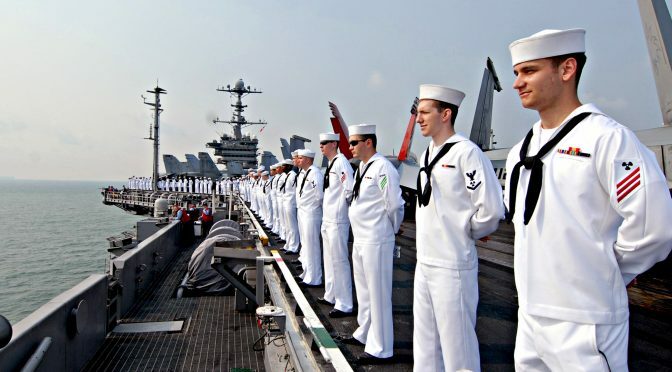 Trello is one example of a simple, yet powerful, tool Navy leaders can employ today. LT Bennett is a former Surface Warfare Officer and current Intelligence Officer. The views express herein are solely those of the author and are presented in his personal capacity on his own initiative. They do not reflect the official positions of the Department of the Navy, Department of Defense, or any other U.S. Government agency. Joshua Stewart, Recruits to get tablet devices in spring pilot program, Navy Times (Feb. 11, 2015), available at: http://www.navytimes.com/story/military/tech/2015/02/11/navy-mcpon-tablet-esailor-ipad-bluejacket/23227655/.